Seminal compilation of Torsten Pröfrock aka T++'s techno research as Dynamo. Originally released in 2002, 'Außen Vor' collects tracks from four super-limited 12"s issued between 1996-2000 and distributed via Hardwax, staffed for more than two decades by Herr Pröfrock. 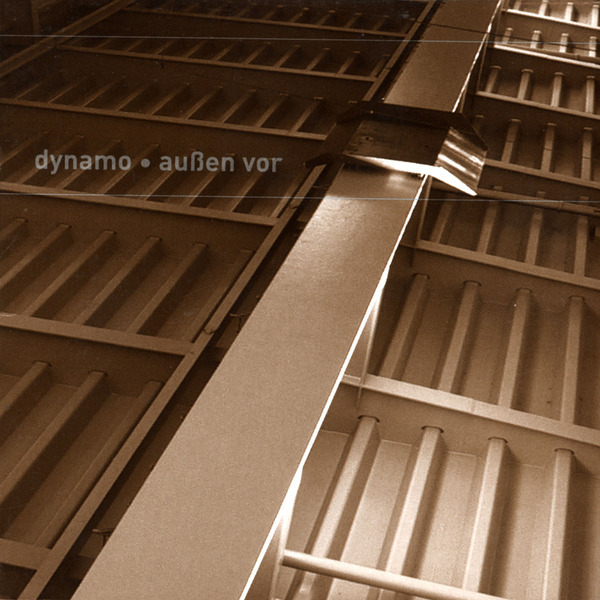 A long-time staple around these parts, its ten tracks document the developments of Dynamo's dub-reduced techno tessellations from the scudding warehouse techno of 'Traktor Artists' thru the bass-swollen breakbeat minimalism of 'Voraus 1' and 'Voraus 2' to the spring-loaded step of four razor-sharp 'Aufenthalt' variations. While the definition of "Berlin techno" seems to have calcified around the dub chords and 4/4 formula in recent years, it's all the more important that the music on 'Außen Vor' reveals an ostensibly hidden history of Berlin dance music that's been equally important, for us at least, to it's evolution, and no doubt an influence or predecessor to the styles of Felix K, Monolake, Shed or Answer Code Request.